But aluminum blinds also work great in any room in the house. They come in either corded or cordless variety. Due to their lightweight design, they can easily raised and lowered. Also, given their sleek design and construction, they tuck away in less space than other blinds. This allows more light to enter the room when the blinds are raised. One thing you should keep in mind before ordering aluminum blinds is there are light gaps at the edges and between each slat. So if you need a dark room, aluminum blinds may not be your best choice. 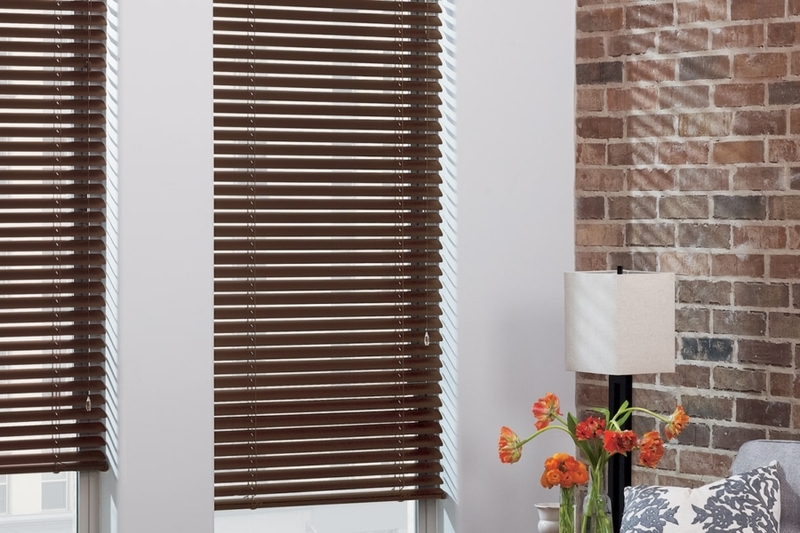 However, these shortcomings can easily be overcome by choosing blinds that cover up the cord holes, have wider louvres or slats for more overlay and by mounting the blinds outside the window to cover up the edges. 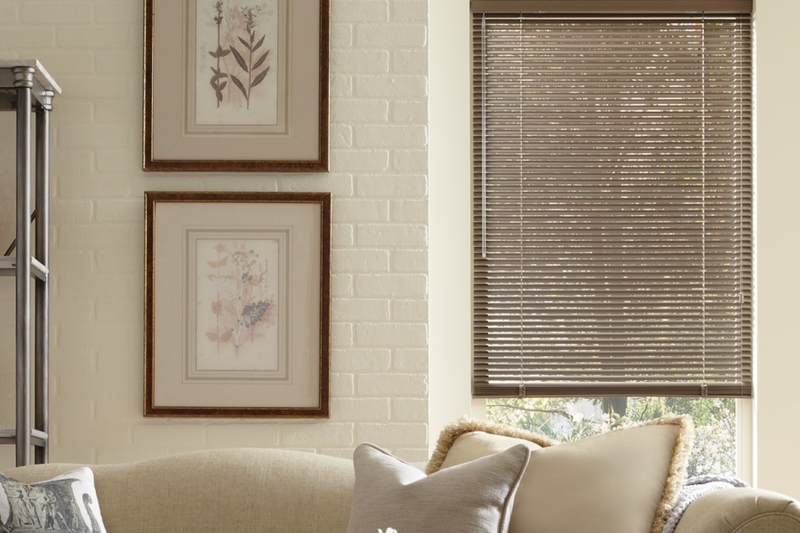 These features have been designed into our exclusive de-Light™ series of blinds. 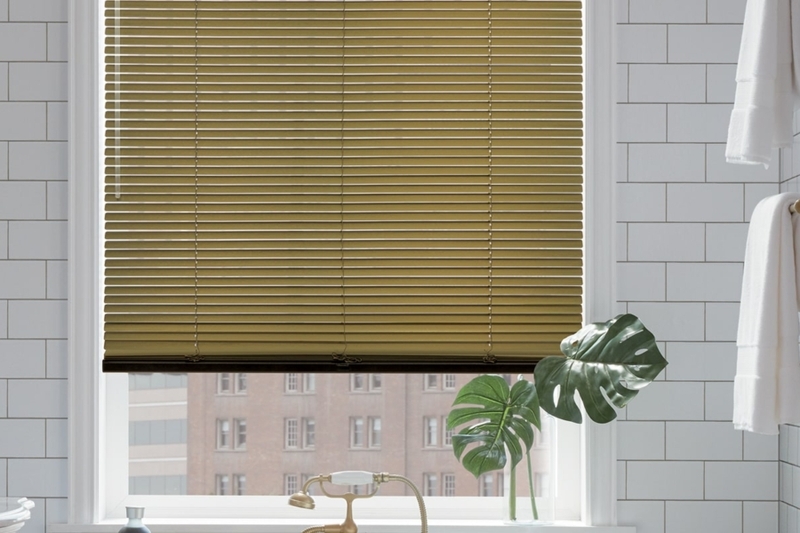 The advantages of our aluminum blinds – Our ½” and 1″ Lightlines® aluminum blinds come in the widest range of colors and finishes, and offer maximum light control and privacy with the de-Light™ routless feature. Made with exclusive, spring-tempered alloy’s that allow the aluminum slats too literally “bounce-back” to their original shape. This allows our blinds to handle rough treatment that would bend or break cheaper blinds. Our exclusive dust free finish actually repels dust. Makes cleaning a snap. To learn more about our horizontal aluminum blinds, please call Evco at (775)322-8833.